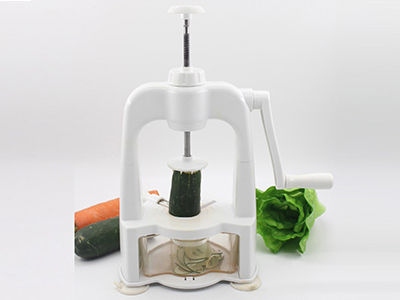 Vertical Vegetable Spiralizer Spiral Slicer-Turn your vegetables and fruits into amazing garnishes in matter of seconds.Vegetable Spiralizer with 4 styles of cutting blades, which allows you to use the appropriate blade you need for every cut style.Great for salads and a healthy alternative to pasta or many other cuisine. Ideal for creating super salads,a healthy, quick-cook alternative to pasta or a host of other dishes. 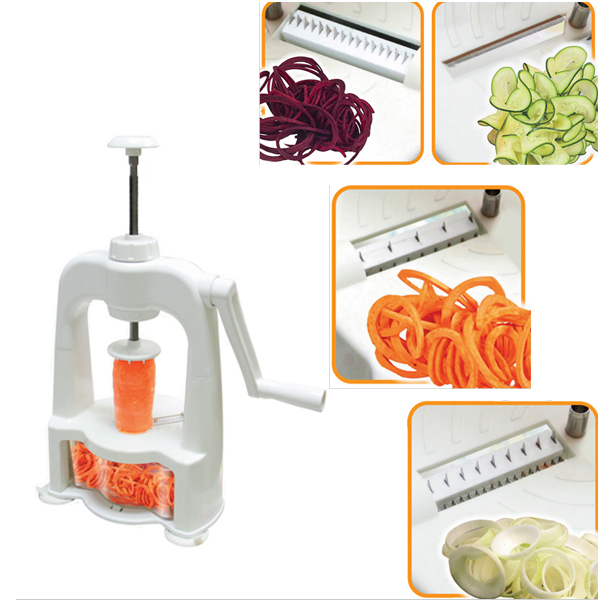 Vertical Vegetable Spiralizer Spiral Slicer-Prepare continuous spiral strands or curled ribbon slices of your favorite vegetables and fruits with this spiral vegetable slicer.Perfect for veggies like onions,carrots, zucchinis, cucumbers,potatoes, sweet potatoes, and more. Vegetable Spiralizer ‘Self-pressure’ feature enables to spiralize quickly and effortlessly, without applying any pressure onto the vegetable. 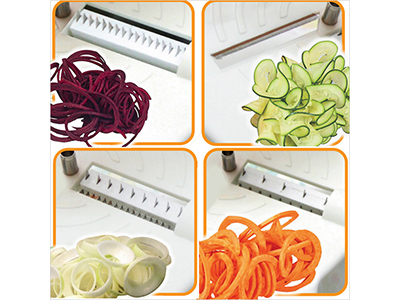 Vegetable Spiralizer with 4 styles of cutting blades, which allows you to use the appropriate blade you need for every cut style. 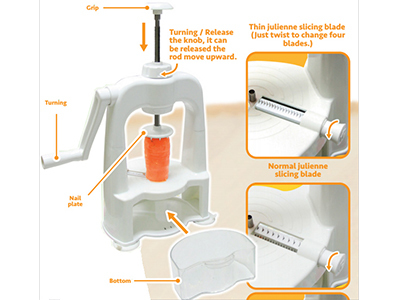 Vegetable Spiralizer was designed to be safe, with absolutely no need to keep your hands near the blades. Simply turn the handle, and the ‘Self-pressure’ feature will push the veggie down onto the blade. Turn your vegetables and fruits into amazing garnishes in matter of seconds safely. Make professional looking garnishes in mere seconds; create zucchini noodles, curly fries, cucumber ribbon strands, onion rings, apple strands and much more in a matter of seconds. Let’s keep healthy together.Come and buy a spiral slicer right now. 1.What can you use this Vertical Vegetable Spiralizer for? 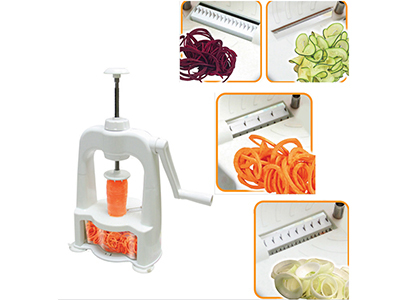 Spiralizer with 4 styles of cutting blades,which allows you to use the appropriate blade you need for every cut style. You can use it to create various sized vegetable noodles,salad,pasta and more. The vegetable Spiralizer is a fast, easy way to turn veggies into delicious healthy spaghetti,and help you to increase vitamin intake.